They say that beauty is in the eye of the beholder. One man’s weed is another man’s wildflower. 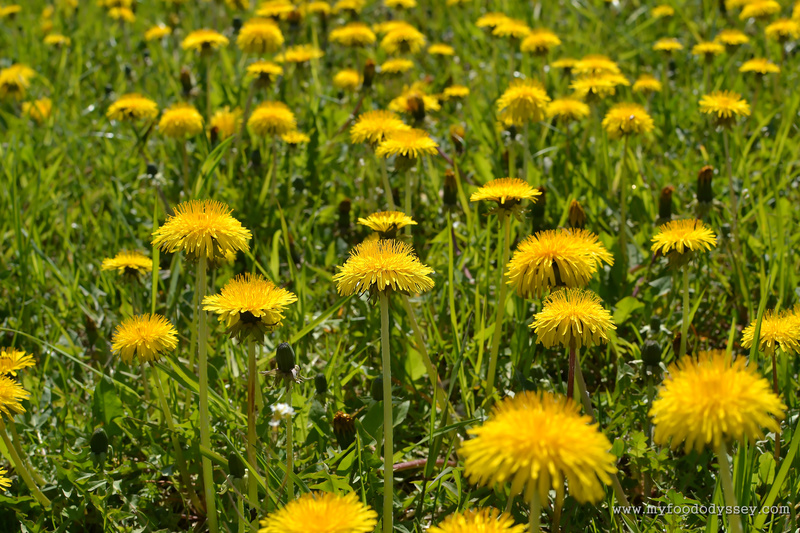 Dandelions are in full bloom at this time of year. To me, they are beautiful – a sea of gold as far as the eye can see. All parts of the plant are edible – leaves, petals, seeds and even the roots. They are an all-in-one superfood and they’re free, yet we’re mowing them down at a rate of knots. 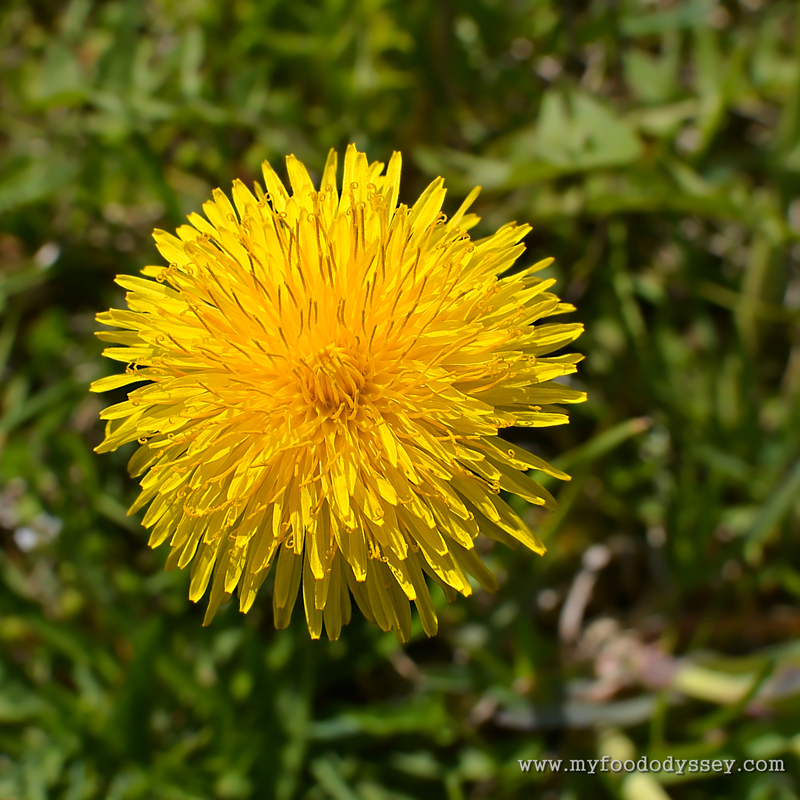 Quite apart from their beauty and their use as food, dandelions are incredibly important to plant life in general. 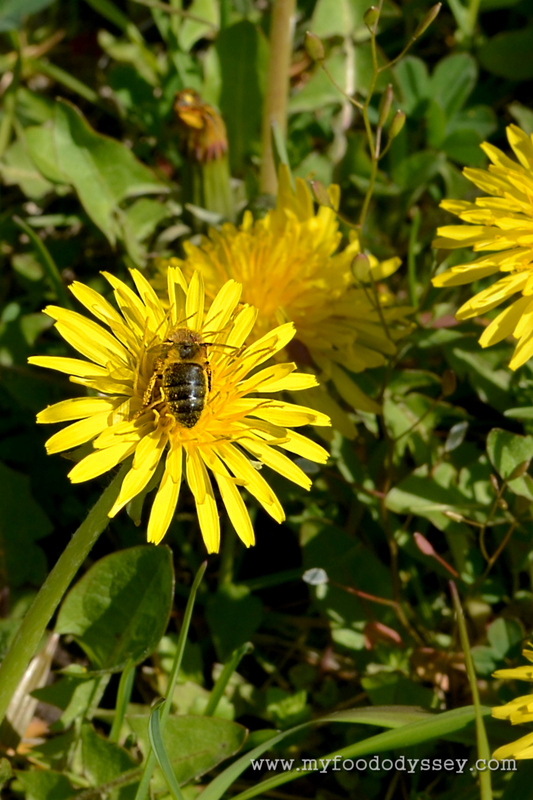 They are a key source of food for bees in early spring when they are just coming out of hibernation. Bees are essential to growing food and vegetables as they cross-pollinate flowers, enabling fruits and vegetables to develop. To me, perfectly manicured lawns devoid of daisies and dandelions are lifeless and insipid. I prefer my garden to be wild and free. Give me a host of golden dandelions any day. Yeh, my dad would hate all those “weeds”. His garden is like a golf course! Never though of feeding them to animals, although I suspect the chickens probably peck at them when they’re out and about. Embrace them, Gary – make wine! yes really nice photos .oh yes I spent a few days last week digging up and drying dandelions and nettles for tea. Ours are just about turning to seed, Tania – I need to collect some heads for tea before they’re all gone. Exquisite photography! Completely agree with your philosophy of protecting nature and avoiding poisons. I was also commenting with another blogger on how the butterflies are disappearing due to so much pesticide spraying (I assume). When I was a child we would see so many varieties. Now it is a rarity. Let it BE, huh? Exactly, Susan. Funny you mention butterflies – they’re another insect that depends on dandelions in early spring when they first come out of hibernation. 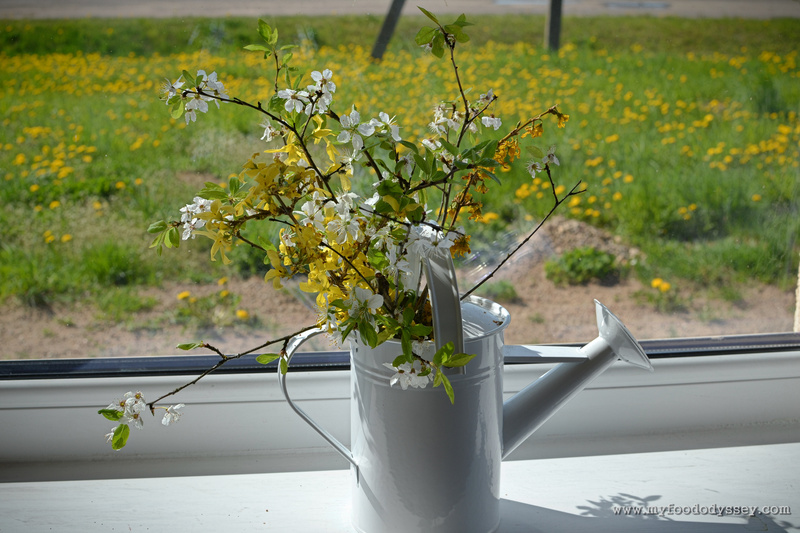 Nature knows best – just leave the wildflowers alone! Yep, exactly right. We don’t know how much we’re screwing up until it’s gone. Sadly. Well done, June! I couldn’t agree more. 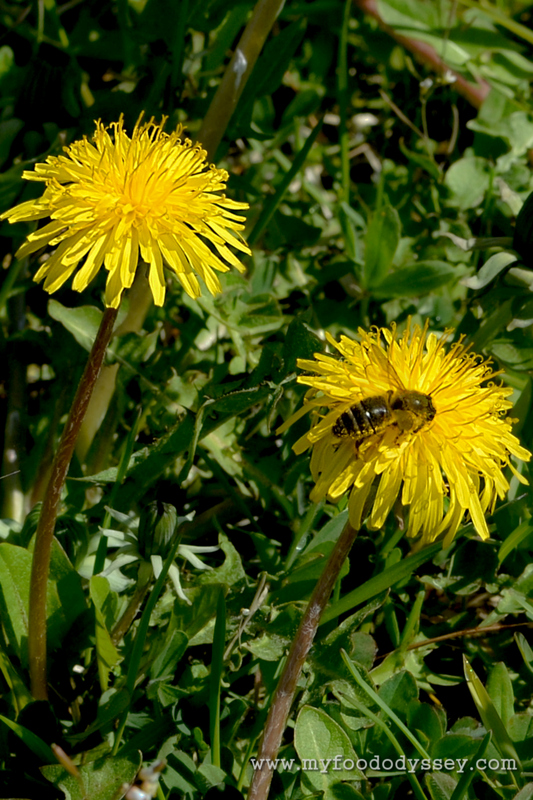 I think the reason we dreaded dandilions as children was because of those very same bees. We would be prone to stepping on them and getting stung on our newly bare feet in early spring. Now I can see my neighbor dutifully spraying Monsanto’s Round Up on them in some vain attempt to have the perfectly manicured lawn. I, for one, would prefer the wild lawn with the wild flowers. No poison in this yard. 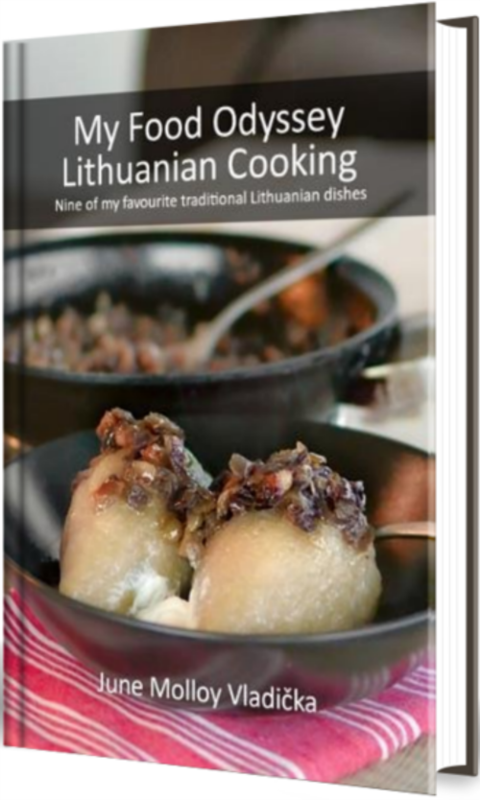 Round-up – egh! I was talking to my dad recently and he told me he’d been out spraying his lawn. I nearly cried. No poison in this yard either.